The joint efforts of Iranian-Italian excavation expedition bore further fruits in Tal-e-Ajory historical mound in the vicinity of Persepolis. The result has been a gateway had been constructed for an Achaemenian palace already in place before Persepolis had been built! Yes, the fact is that this discovery has unveiled some ambiguous unknown period about the ancient city of Parseh. The time period is between 559 and 521 BC, the era of the Persian Empire reigned by Cyrus the great and Cambyses. This square gateway was built in a 40 sq meter area leading people in and out on SE and NW corridors. There could have been approximately 1000s of 33 cm by 33 cm bricks, each one 11 cm thick forming the gateway. After the fall of Achaemenians, this historical mound built by such large number of bricks was demolished. That’s why local people call it Tal-e-Ajory, meaning brick-made mound. As a result of the recent archaeological excavations in Iran as well as studying 12 other Achaemenian monuments at this side of Persepolis, it’s largely speculated that this part of the ancient city of Parseh used to exist at the time of Cyrus the great and more importantly, before the construction of Persepolis. 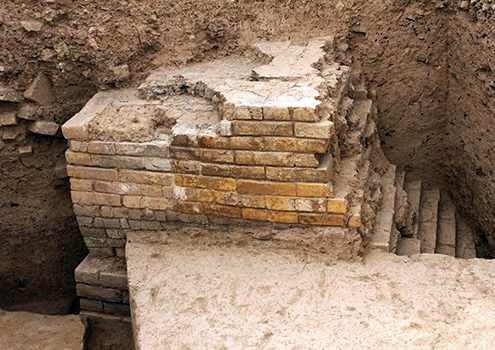 The reason for such inference is the fact that there are several similarities between the motifs on the glazed bricks of this newly discovered gateway and those of the Mesopotamian myths, in particular with those of Ishtar Gateway in ancient Babylon. Another similarity is found between the plan of the discovered palace near this Gateway and those of the ancient Babylon as well as Pasargadae. There can be found the traces of mythical animals on these glazed bricks. 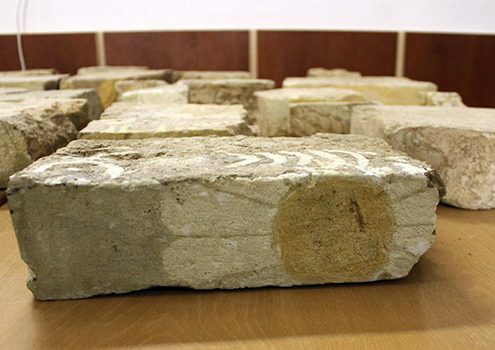 The most significant discovery of this season of archaeological excavations in Iran have been 30 glazed bricks decorated by combinations of winged animals. In most of them, there can be noticed mythical griffins of Elamite and Achaemenian eras depicted with the ancient traditions of SW Iran, Susa and the Mesopotamia. 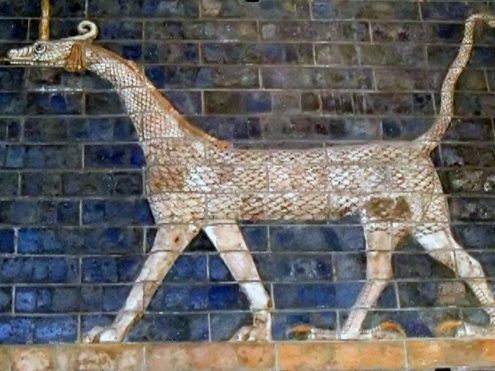 Among them all, Mushussu, is the legendary animal depicted on bricks like in ancient Babylon. It’s an animal that looks like dragons, lions and snakes combined. Approximately 100 m South of this historical mound, there’s another historical mound in which a large palace (50 m by 60 m) had been unearthed. The space between this palace and newly discovered gateway had been planned as Persian gardens with some water supplement structures. Geophysics studies have proved the existence of such gardens and their water supplying facilities. As more and more remnants of ancient monuments and archeological excavations are found at this area of Iran, an interesting fact is revealed to us: In an area of 600 square acres, there had been laid a landscape with several royal monuments as well as Persian gardens among them, creating a breathtaking view for those inside Persepolis.